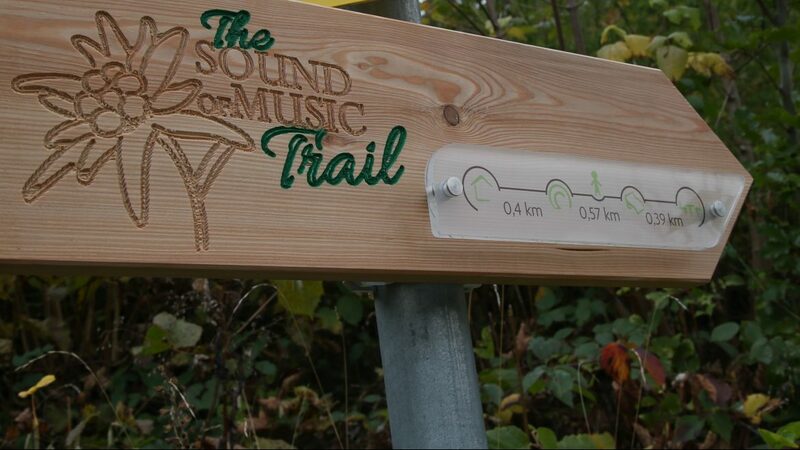 The Sound of Music Trail is a wonderful experience that can be enjoyed by all. The excursion takes you on a journey through Salzburger Land to the town of Werfen. It is here that you will not only find filming locations from The Sound of Music, but also the magnificent Hohenwerfen castle. The family Trapp story is one that is filled with nature, hiking and of course music. There are tours in which you can visit the many film locations. It is also possible to see The Sound of Music musical at the Salzburg Landestheater. There are walking tours where you can visit many places of interest whilst hearing about the story of the Trapp family. Such an experience will take you back in time. The trail starts just as you come out of the picturesque village centre of Werfen, in Pongau, and is suitable for walkers of all abilities. The path takes you up the Gschwandtanger, one of the most beautiful viewing points, high above the village. It is also the location where Maria Trapp taught the children the famous “Do Re Mi” song, a song to which probably half the population can sing along to. The picnic scene was also filmed here. This Alpine pasture is perhaps the most famous of all The Sound of Music locations, with the 900-year-old Hohenwerfen castle in the background. The path is lined with signposts and information boards. 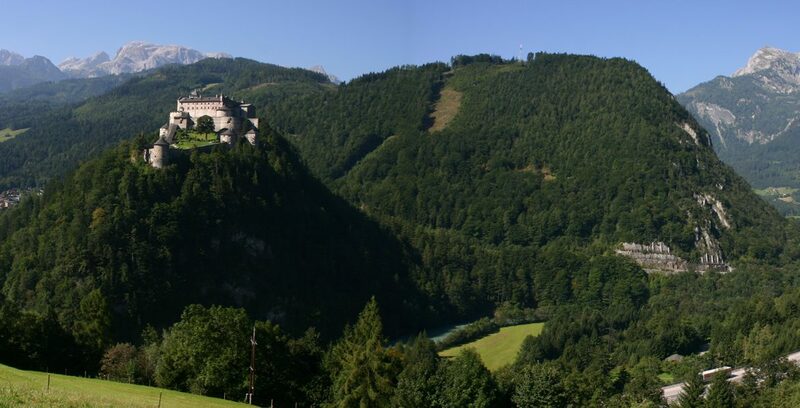 Visit the film locations of The Sound of Music whilst enjoying spectacular views of Hohenwerfen castle. Since 2015, the 50th anniversary of the film, it is possible to follow in the footsteps of the Trapp family on a path which offers a close-up view of the Hohenwerfen castle. This area has served as a film location for numerous films, including the 1968 film production of Where Eagles Dare with Richard Burton and Clint Eastwood. Hohenwerfen castle is open to the public and well worth a visit to watch the impressive bird of prey display, or perhaps visit the largest ice caves in the world which are also located in Werfen. The Sound of Music trail is approximately 1.4 kilometres long and takes you from the town centre to Gschwandtanger viewing point which offers magnificent views over the Salzach valley. Gschwandtanger: Plateau where the picnic scene fromSound of Music was filmed.